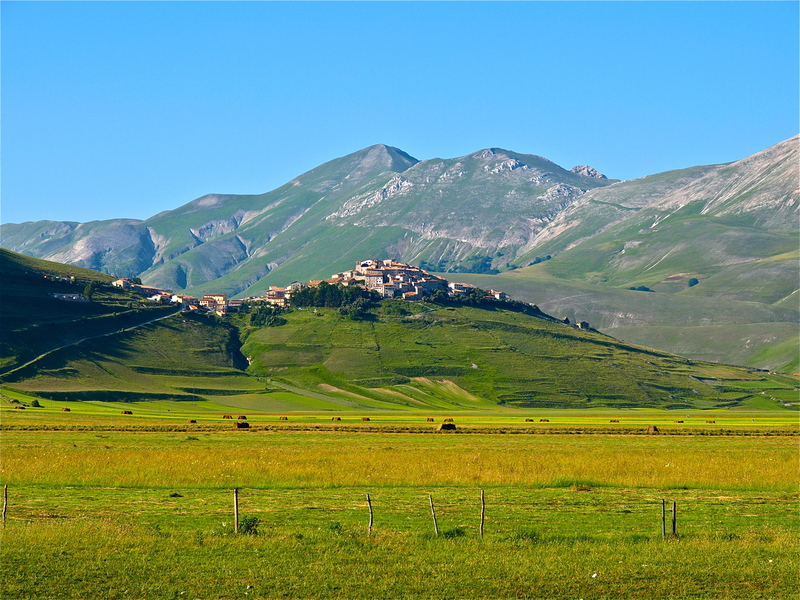 When in Rome, I mean Castelluccio, do as Castellucciani do – eat a lot, drink a lot, and enjoy life. 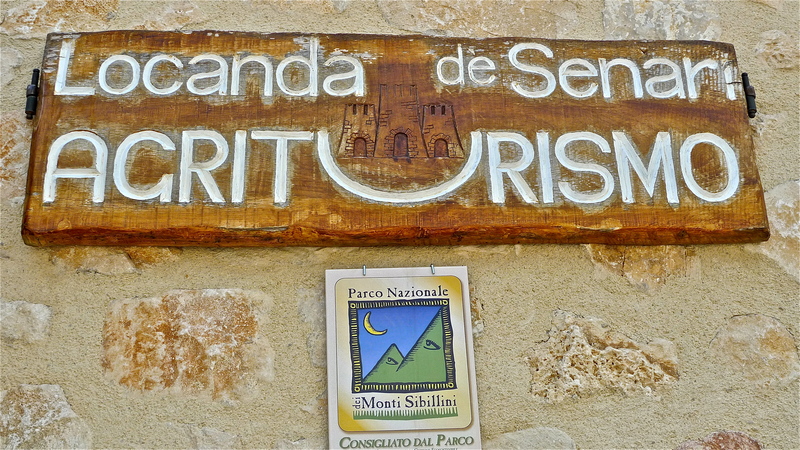 And there’s no better place than Locanda de Senari, one of the finer kitchens in the village proper and a certified agriturismo (literally, agricultural tourism – rooms above and full organic kitchen/trattoria below). 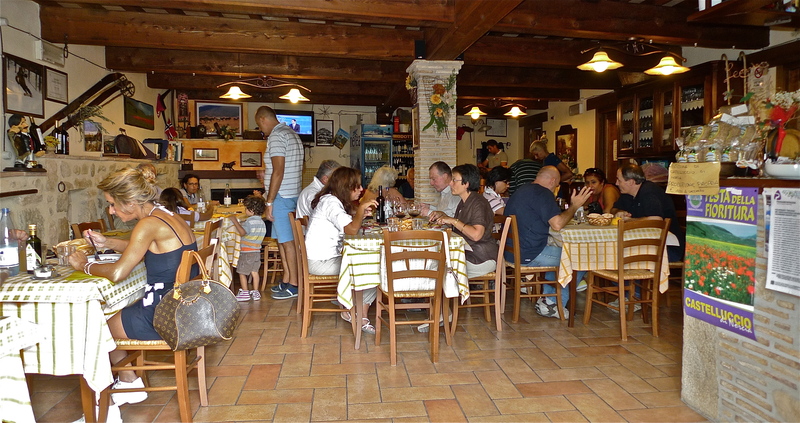 Once there, you’ll be treated just like family by proprietors Ulisse and Mirella Cappelli. The menu is vast and changes regularly, depending on the availability of local stock. All dishes are home grown/home made, from the antipasto to the desserts to the complimentary digestivi (herbal cordials to aid in digesting a hearty meal). 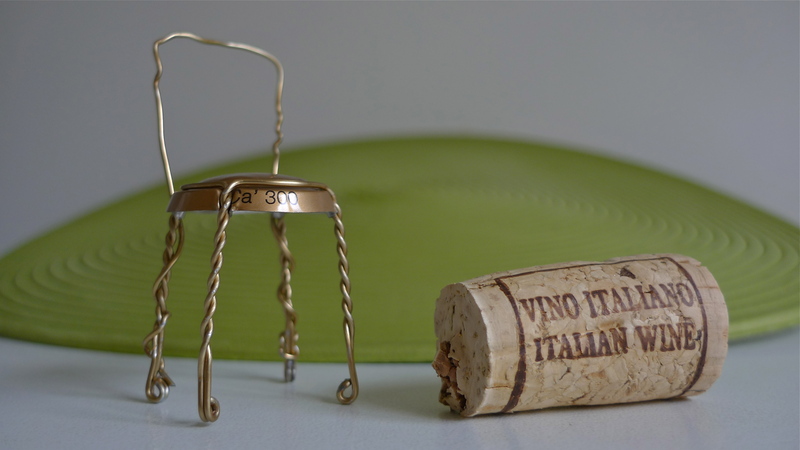 A complete four-course meal, with house wine (excellent), water and coffee will cost approximately 30 euro ($36 USD). The digestivo at the end is on the house. For complete information on Locanda de Senari, its kitchen and room rentals – with or without semi or full board – just click on this link: www.agriturismosenari.it. I love it when restaurants change their menu depending on what is available. It was quite a feast for the small amount that we spent. Well worth the trek up to the high plateau, for the food and the scenery.